Mixed Martial Arts constantly broadens its horizon. And with that, IFC aims to bring the sports to the MIddle East with its first ever event -- Genesis. Will they prosper like Strikeforce and UFC? With mixed martial arts constantly broadening its horizon, the Israeli Fighting Championship aims to change the way Middle East embrace the sport. The IFC will hold its first event, entitled Genesis, at the Nokia Theater in Tel Aviv on Tuesday, November 9. Topping the 13-fight line-up is a heavyweight match-up between Jeff Monson and Sergey Shemetov. Along with Monson and Shemetov is another headline bout between Ricco Rodriguez and Daniel Tabera. Frank Trigg, Hermes Franca, Rameau Thierry Sokoudjou, and Shonie Carter will also compete in different bouts. According to IFC’s US spokesperson, Mike Ben Avi, the IFC is a new organization. However, it is not small. 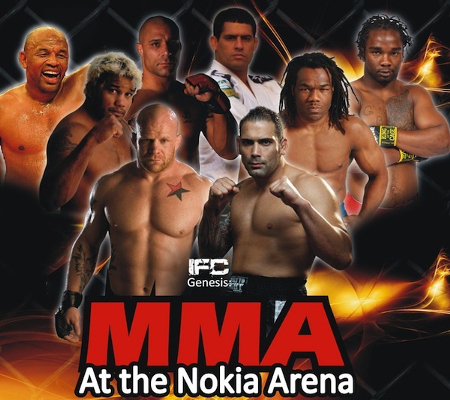 It is probably third behind Strikeforce and UFC in terms of budget, and IFC is pretty much the pioneer of MMA in Israel. Ben Avi also vowed that IFC will not be a one-show-and-done organization. However, he is not sure as to when the next IFC event will be. When it comes to security, Mike Ben Avi pointed out that Tel Aviv is one of the safest places in Israel. Most of the terrorist attacks are either up north or way south, and not where the event is.